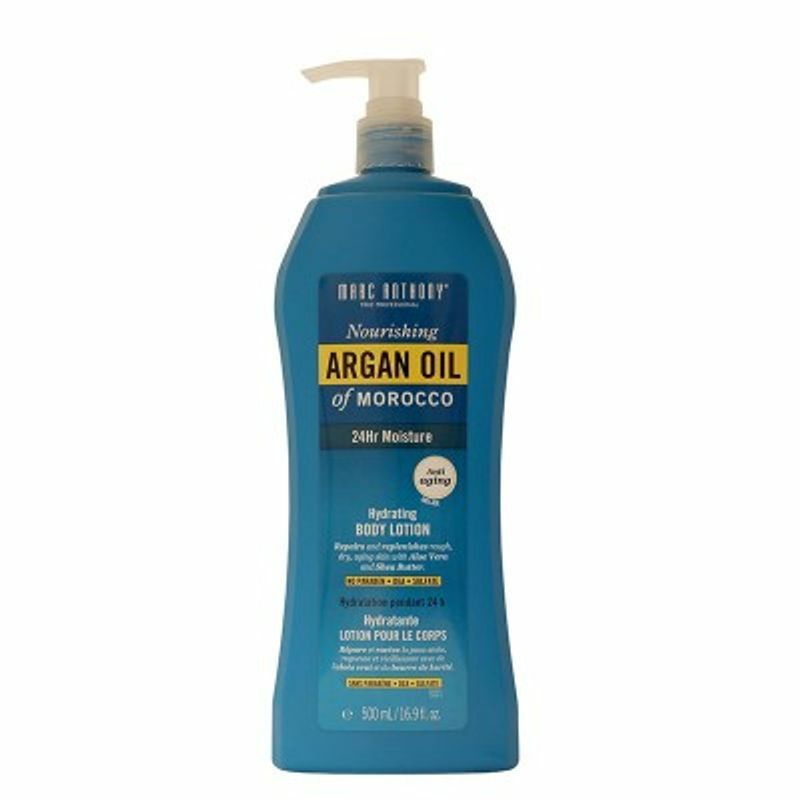 Marc Anthony True Professional's Nourishing Argan Oil of Morocco Hydrating Body Lotion envelops your body with naturally occurring nutrients that create a surface barrier to lock moisture in. It helps to draw moisture into the skin and promote cellular turnover. Offers full day hydration to parched skin. Invigorates tired and aging skin, and restores rough skin. Lightweight formula and non-greasy. Suitable for all skin types.